The term “edge of your seat” was created for viewing movies like A Quiet Place. The film manages to create tension from the very beginning that never relents and holds you until the credits roll. It is an intense experience but one which is also fantastic. It opens with a decent set-up and introduction to the world that our characters now inhabit. Unable to make any noise for fear of scary creatures hunting and killing them, they edge silently around a shop, barefoot, and begin to clue the audience in to what is happening and how it has changed these people’s lives. Once the gut-punch at the end of prelude happens, you are already sucked completely into this world. Jumping ahead we see how the central family are now living and how they create a silent life for themselves. The film is centred around little touches that make perfect, ingenious sense. Sand on the floor hides the sound of your footsteps and creates safe passage, while noisy game’s counters are replaced with felt. Even plates now become lettuce leaves to avoid any clanging or banging of crockery. The movie is filled with these little aspects and it helps build the world and immerse you even further within it. It also creates the deafening silence. 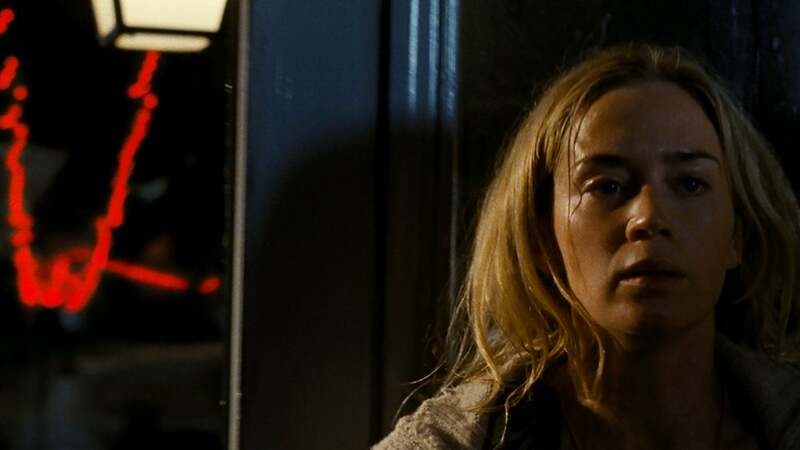 A film with little dialogue or noise whatsoever is unique within itself and A Quiet Place creates a creepy, unnerving sense of dread throughout. It builds little set-pieces and puts the correct sequences of events in place so that you can see the issues and anticipate the upcoming drama. From subtle moments like an upturned nail on a staircase through to the less subtle like a pregnant woman who will have to give birth and raise a baby in a silent world. Which brings us to the threat themselves. The monsters are never explained. You don’t know what they are or where they came from and you don’t have to. All that is needed is written on a whiteboard or pinned up on cork-boards for the audience to see. Instead we get a creature which is reliant on sound, almost unstoppable and is suitably terrifying. The film begins with the less is more approach and you hardly see them but by the time you do get to see it close-up, it doesn’t disappoint and some of the key set-pieces are truly scary and hold you firmly in their tense grip. This is down to some excellent writing and direction from star John Krasinski. He rewrote aspects of the script and showed great directing talent here. He also plays the patriarch of the family, trying to hold together a fearful family, consisting of a terrified teenage boy and rebellious forthright, deaf teenage daughter. 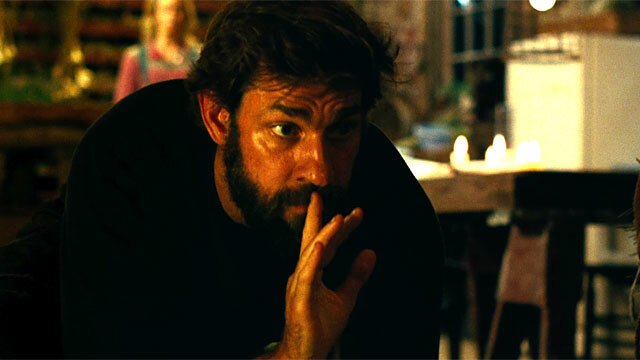 As well as the larger threats the family face, A Quiet Place has these sub-plots that could only exist in this new world and here Krasinski and the rest of the cast shine, particularly daughter Millicent Simmonds who gets a great story-arc of her own. Emily Blunt comes into her own here too and gets some of the movie’s best moments. You can easily see why she asked her husband to cast her in the movie as the female lead as this is a performance which requires some hefty dramatic talent. 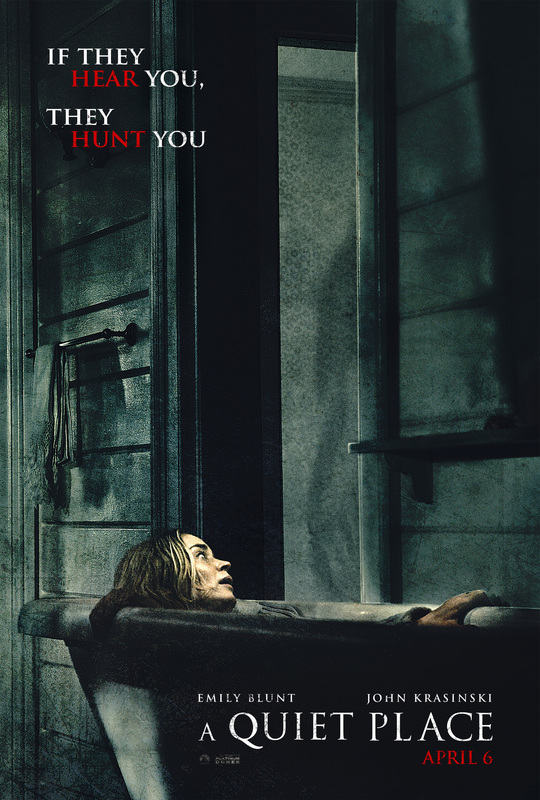 Overall, A Quiet Place is a fantastic, scary and tense thriller which plays with the unique premise perfectly. It builds a world like no other, from the unique makeshift design to the terrifying creatures. Krasinski has made a perfect movie.